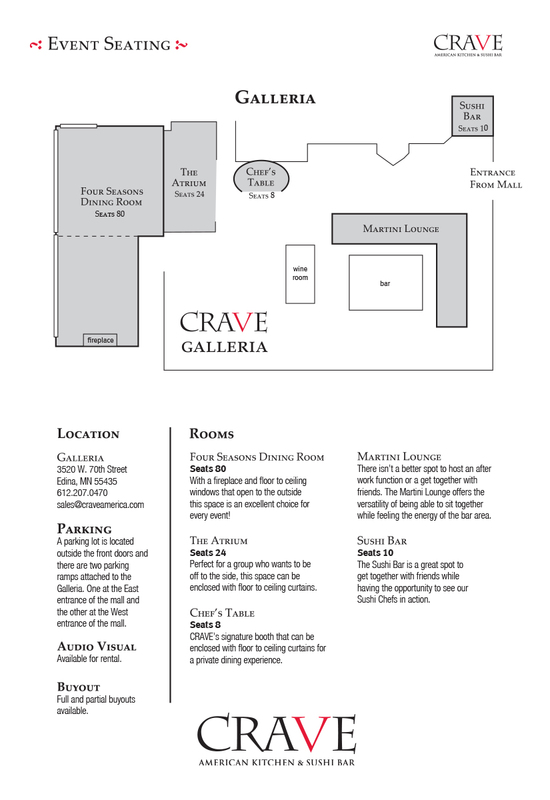 CRAVE at the Galleria in Edina offers a variety of beautiful spaces to host your next event. As a shopping destination in the Twin Cities, the Galleria creates a fun and trendy atmosphere perfect for hosting birthdays, social gatherings, corporate events and more! From menu design to decor, our experienced and dedicated staff will work with you every step of the way to execute an unforgettable event. Multiple event spaces in restaurant including a fully private Sunroom, a cozy Atrium nook, and more! Book CRAVE – Galleria For Your Event Today!